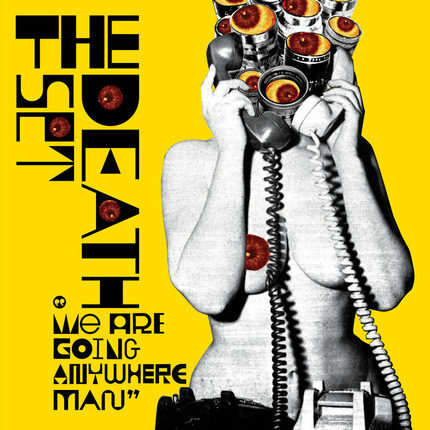 Brooklyn punk art band The Death Set have a new single out "We Are Going Anywhere Man" off their sophomore album 'Michel Poiccard'. They're a little heavier than most of the stuff we post on OTR, but after seeing them perform at The Vagabond recently, I became a huge fan! They put on a hell of a fun live show. In between tracks they would play little snippets of classic hip hop tracks then they would annihilate with some of their hard rocking punk tunes. Some serious energy these guys put out which makes for some seriously fun shows. They remind of early Beastie Boys party mentality except with a punk rock edge. If they come to your neck of the woods I highly recommend checking them out. You'll probably become a convert like me. Here's their video for "We Are Going Anywhere Man". It's a basically a little party they threw with some close friends at hand. Here's also their soundcloud for "Slap Slap Slap Pound Up Down Snap" one of the more memorable tracks that I remember from their live show. You can buy their album/singles via their labels page here.